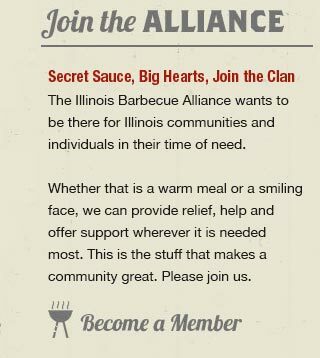 The Illinois Barbeque Alliance is proud to provide fellowship and unify people of all ethnic backgrounds, religious beliefs, political affiliations, and socio-economic classes and enabling friendship based on a shared love for barbecue and serving the community. Illinois BBQ Alliance will host semi-regular social events such as BBQ gatherings, cook-offs, potlucks, instructional events and Pitmaster demos. Some may be limited as member’s only events; others may include invited guests; and some may be open to the general public, depending on the nature of the event. Some events and activities will be organized for the sole purpose of raising funds to serve the relief efforts and to ensure that the organization has the necessary funds to act on short notice if a disaster strikes. Other events are designed to recruit new members to continue to grow the organization and its capacity. The organization is working in conjunction with Operation BBQ Relief to develop an action plan for rapid mobilization in the event that a disaster strikes within our reach (see Relief Area). 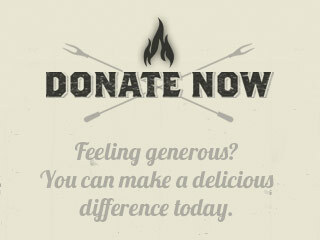 The alliance will use our BBQ power to support causes beyond disasters as well. We will go wherever we are needed, within our community to support families, the homeless and shelters in need of assistance or support.